Goa Public Service Commission (GPSC) has called for applications from eligible candidates for various posts like Associate professor in Anatomy, Assistant lecturer and Assistant Director of civil supplies; under this year’s recruitment session. There are total 10 vacancies under this year’s recruitment session. All eligible and interested candidates need to apply on or before April 2, 2015. Read below to know about the post details, eligibility criteria, application procedure, etc. Associate professor in Anatomy: Rs 15,600 to Rs 39,100 with a grade pay of Rs 6,600. Assistant lecturers: Rs 15,600 to Rs 39,100 with a grade pay of Rs 5,400. Assistant director of civil supplies: Rs 9,300 to Rs 34,800 with a grade pay of Rs 4,600. Associate professor in Anatomy: Candidates should not be more than 45 years of age. Assistant lecturers: Candidates should not be more than 42 years of age. Assistant Director of civil supplies: Candidates should not be more than 42 years of age. Assistant lecturer and Assistant professor: Applicants should have a medical qualification from the Indian Medical Council Act. and a postgraduate degree in their concerned speciality. Assistant director of civil supplies: Applicants should have a degree in law and must have basic knowledge of law, law revenues etc. Candidates would be selected as per their performance in the screening test and personal interview. 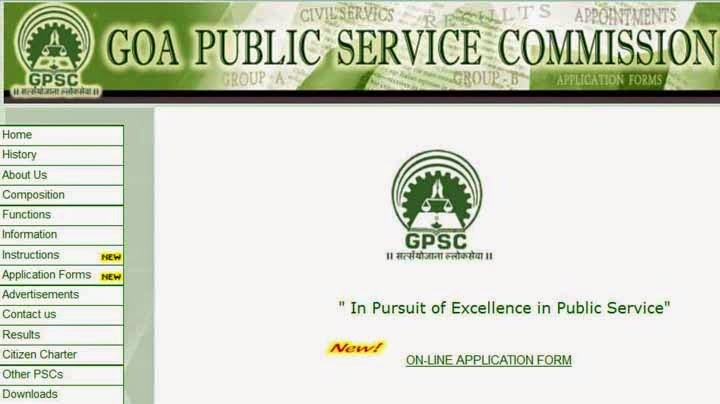 All eligible and interested candidates need to apply online via the official website of GPSC at www.goapsc.gov.in. Candidates need to apply by April 2, 2015.